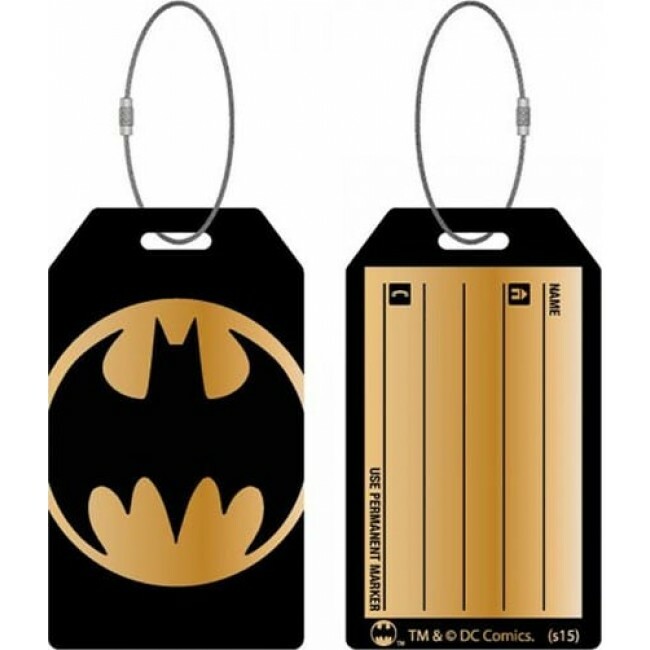 Batman bag tag is made of aluminum and includes 1/16th inch steel cable. Quickly identify your tag in a crowd. Use permanent marker.